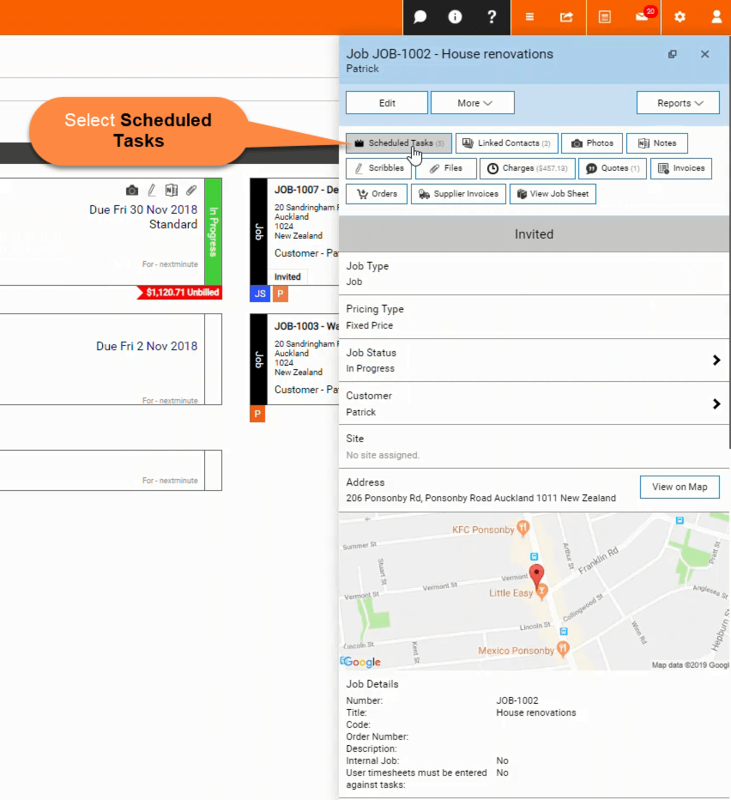 Job Tasks - Assign To – Welcome to the NextMinute support and feedback centre. 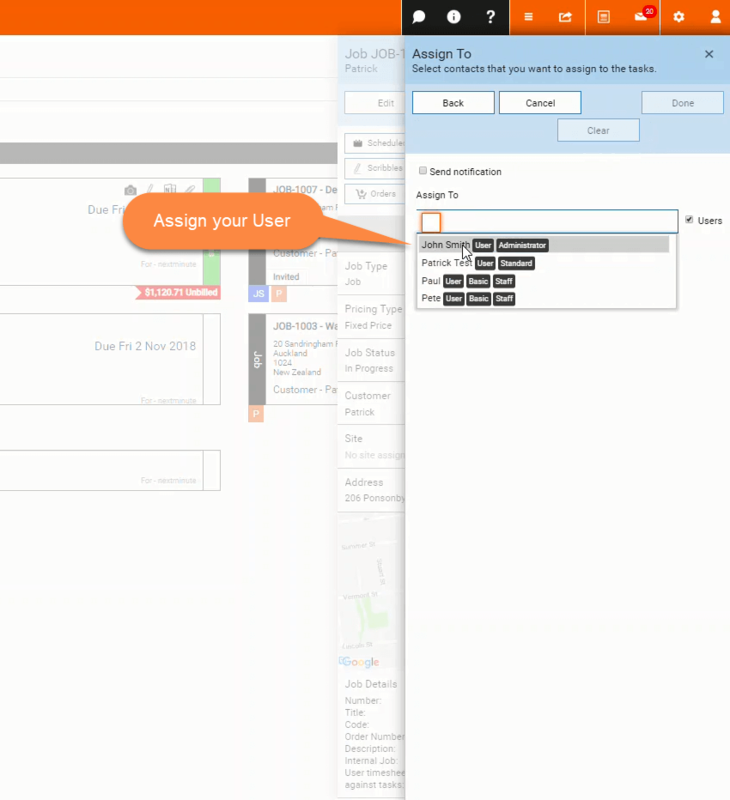 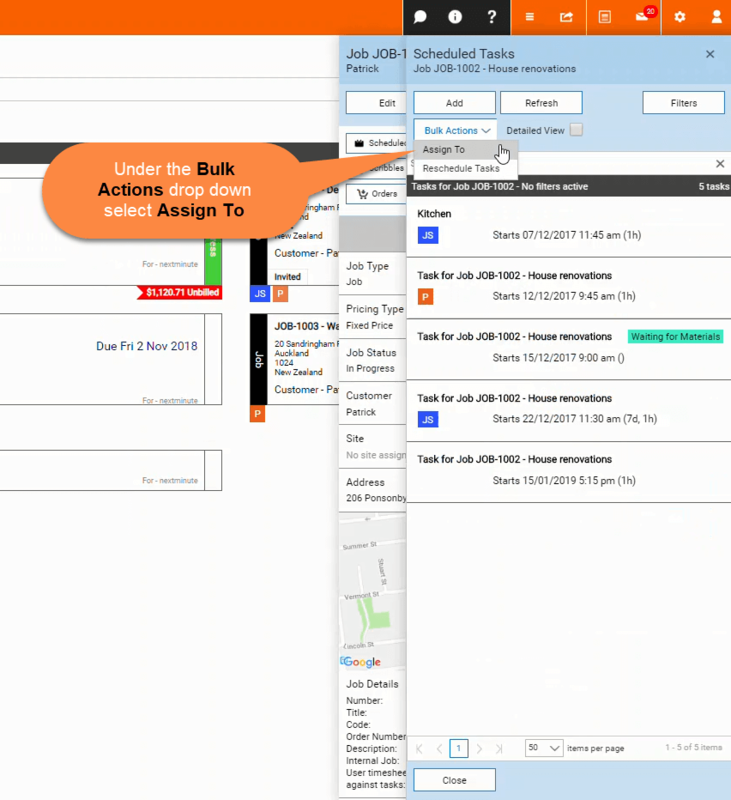 In this help article we take your through the steps in using the Bulk Actions feature to assign a user to multiple scheduled tasks against a particular job at once. 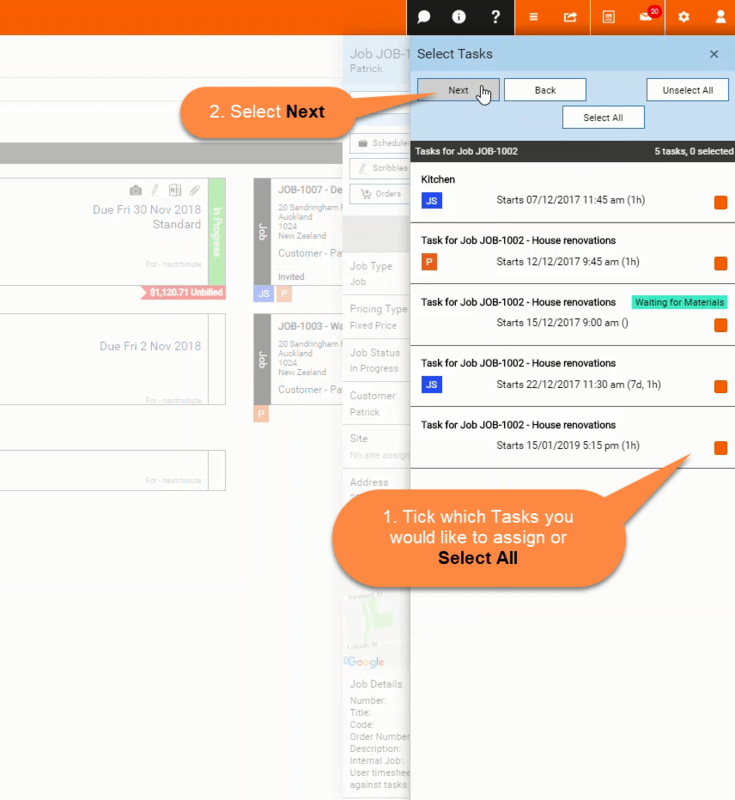 You can also select Select All at the top to select all tasks, which is what we are doing in this example. 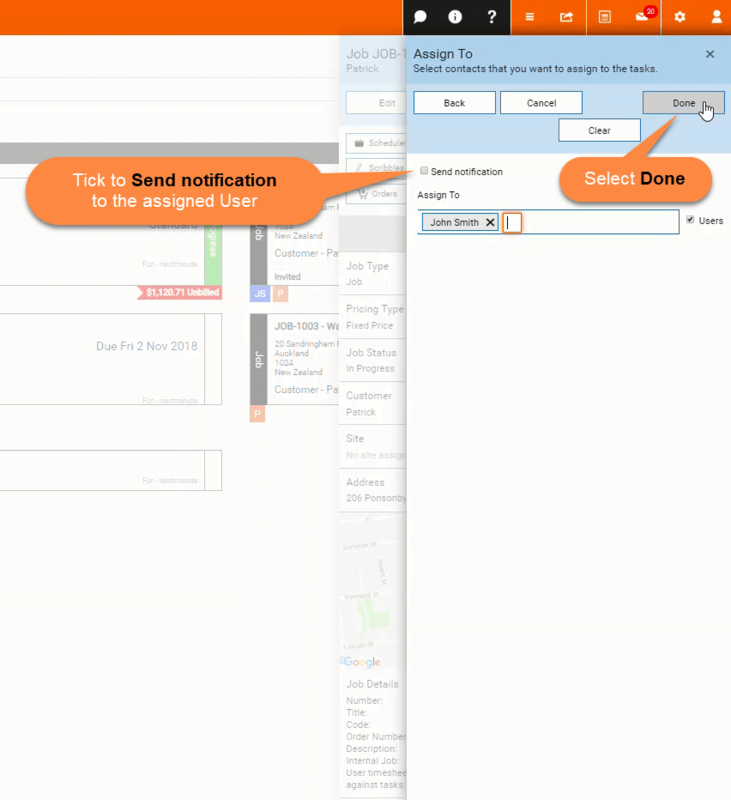 You can tick to send a notification to the assigned user. 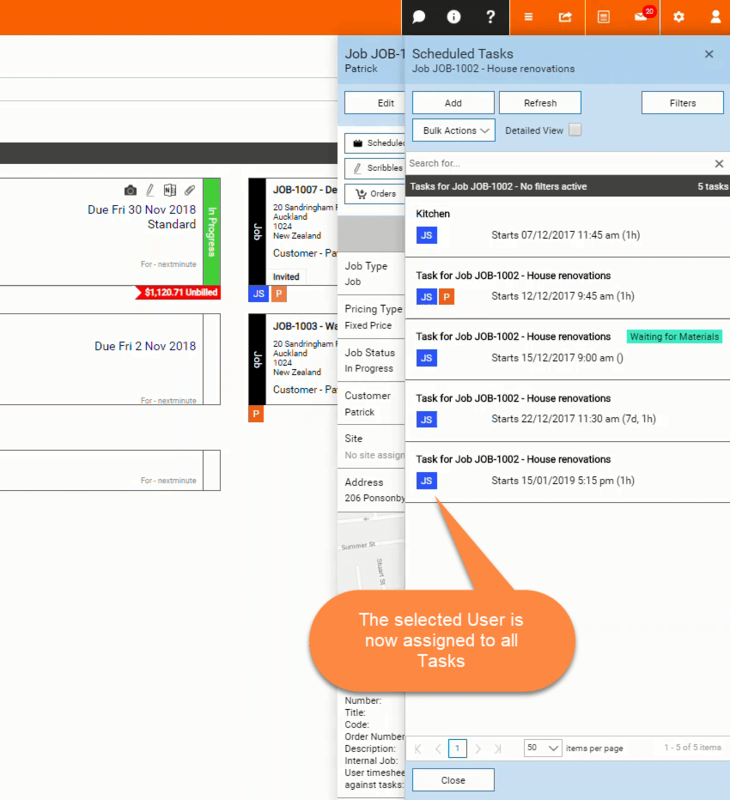 As you can see below, the selected user is now assigned to all the Jobs tasks.